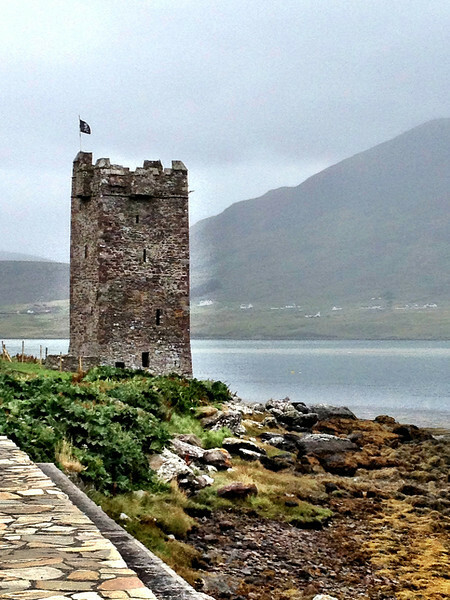 Achill Island is the largest island off the coast of Ireland, connected to County Mayo by a bridge. It is a four hour drive from Dublin but only two and a half hours from our home in Carrick-on-Shannon. 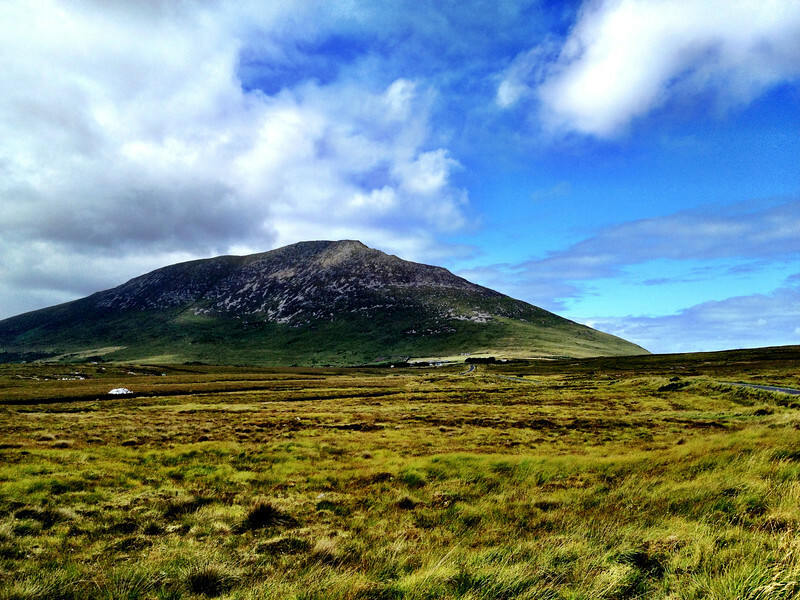 The name Achill comes from the Irish word acaill, meaning eagle. In the past, golden eagles could be seen above the peaks of Croaghaun but the last sighting was in 1912. As usual for us here in Ireland, the weather was not ideal for hiking or taking photos. A steady drizzle of rain thwarted my attempts to capture some of the stunning scenery along the coastline and the wind was roaring so loudly that I gave up on trying to take video. Kildamhnait tower house. Also known as Granuaile’s castle. And Ocean flings its billows in the air. Grace O’Malley, or Granuaile, was born around 1530 on Clare Island to a powerful sea faring family. She developed quite a reputation as a rich sea captain and a pirate. 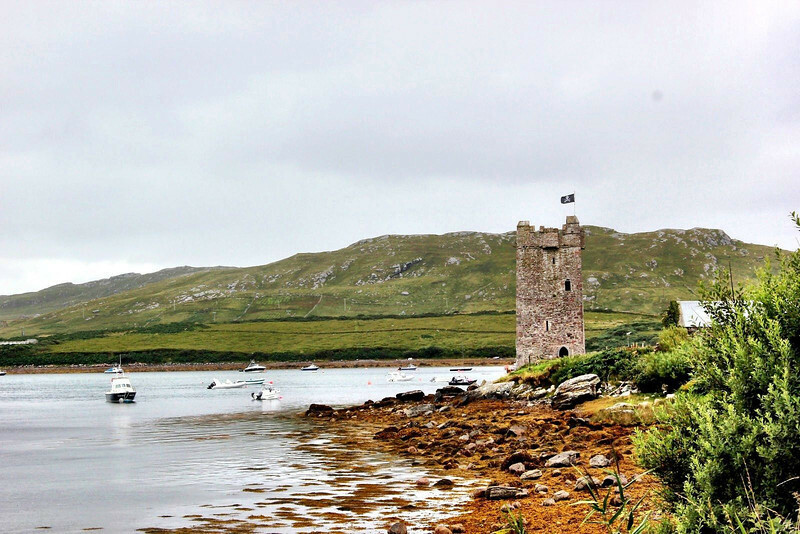 Kildamhnait castle (a 15th century tower house) is known locally as Granuaile’s castle, as the O’Malley clan were once a ruling family on Achill Island, but Grace’s main residence and place of burial are actually on Clare Island. 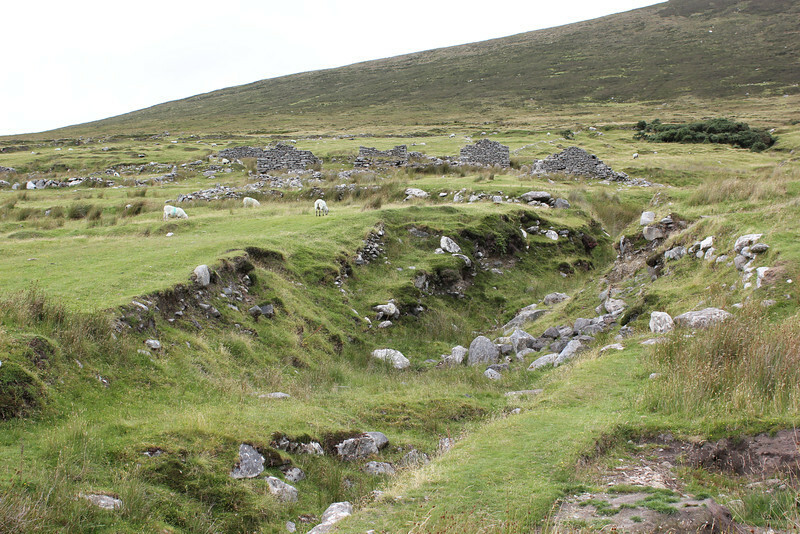 Sheep grazing in the deserted village at the base of Slievemore Mountain.